String and tag tea bags are great for large scale catering and self-service tea stations, letting people brew tea according to their taste while minimising waste. 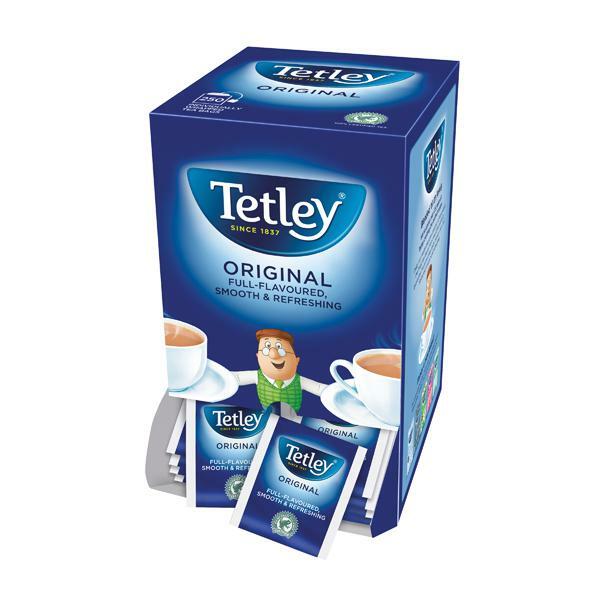 Individually packaged and sold in cartons that can be folded down to create a self-service box, Tetley have combined their usual high quality with ultimate convenience. Just pop a teabag in your cup or mug, add hot water and leave it to sit until your cuppa reaches the perfect strength. 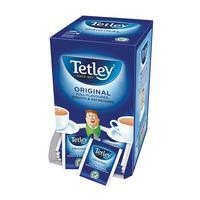 This pack contains 250 tea bags, ideal for shared kitchens.